Technip provides its shareholders with an array of documents to keep them regularly informed and to enable them to follow corporate news and developments. 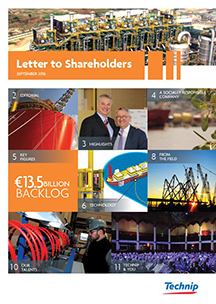 Letters to Shareholders are published each quarter following the release of quarterly results. 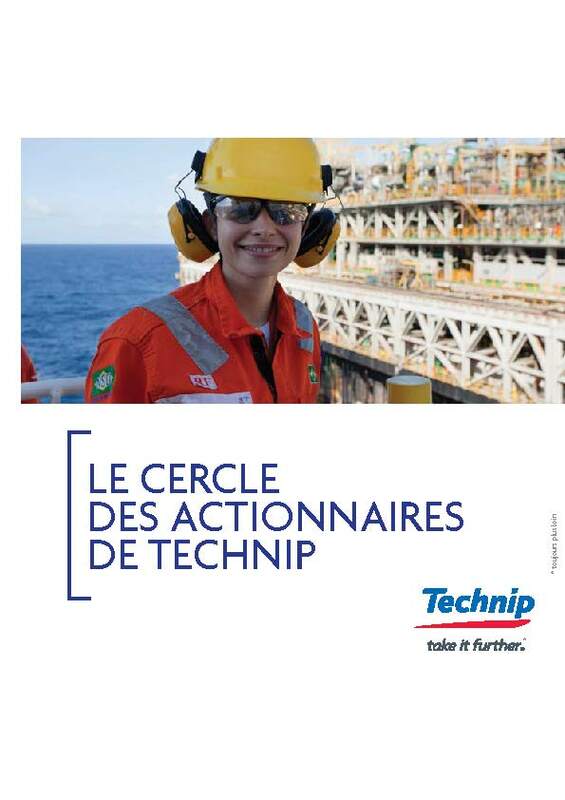 You can find information about Technip's activities and our sustainable development initiatives. This guide is aimed at providing practical information about Technip. It is published every year following the annual results. This document is published every year following the annual results. 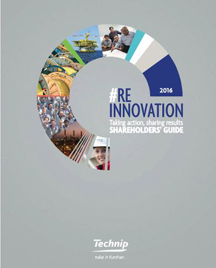 It describes Technip, its businesses, key figures and strategy. Discover the website dedicated to the 2014 Activity and Sustainable Development Report by clicking here. 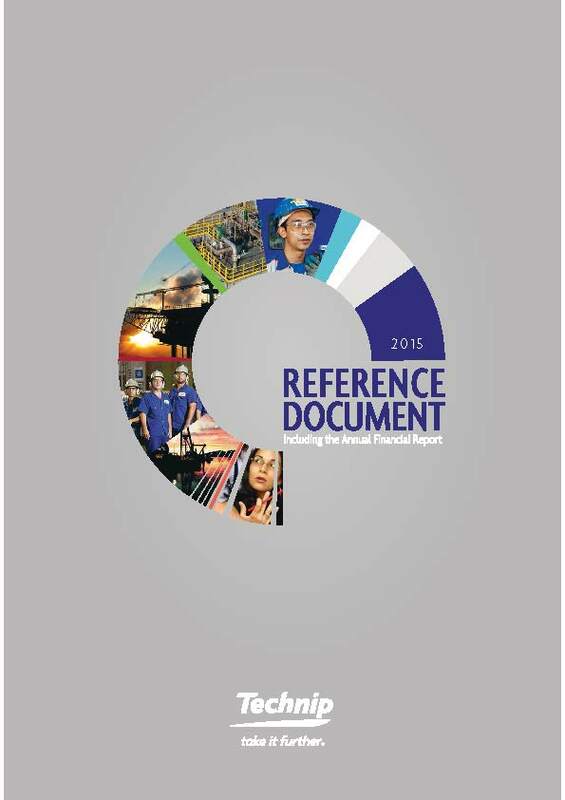 The Reference Document is published every year following the annual results and before the Annual General Meeting. This document provides all financial figures related to the Group, information about Technip's activities and strategy. 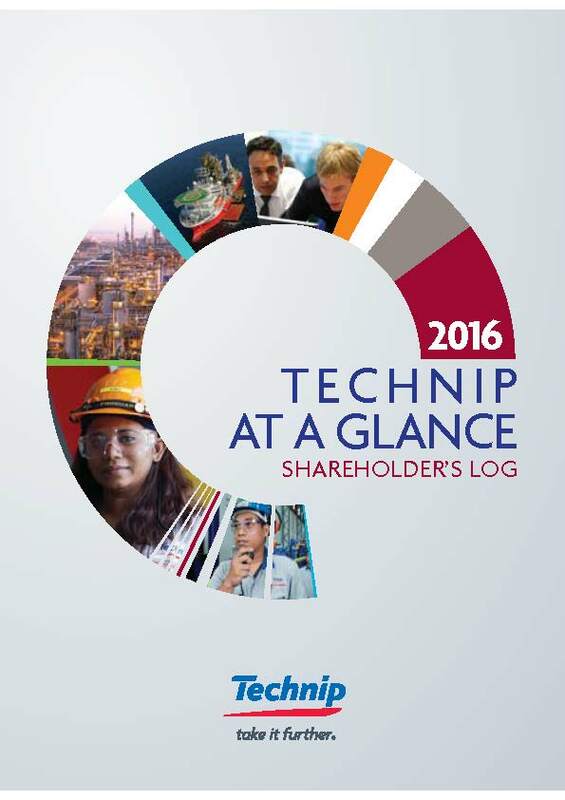 This document, published every year following the annual results and before the Annual General Meeting, provides the main information related to Technip. 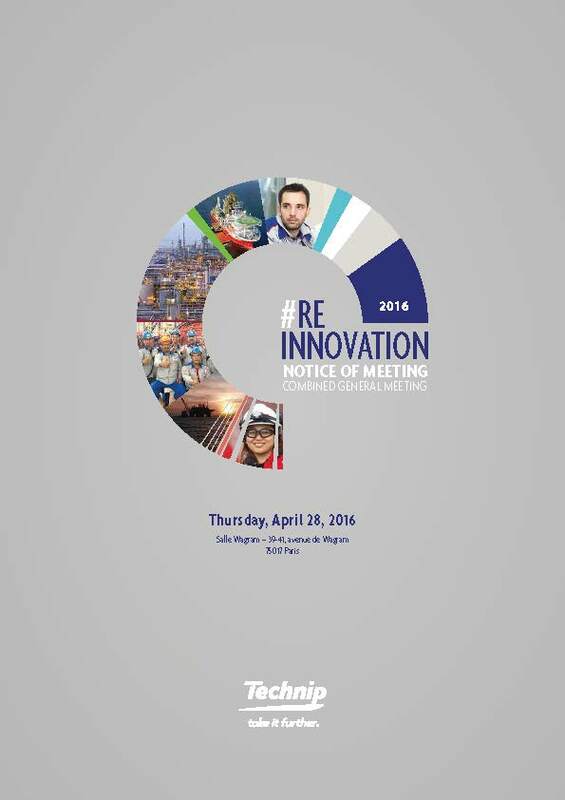 The webzine gathers numerous great moments that marked, every year, the Annual General Meeting of Technip. For previous issue please click here. The Notice of Meeting provides shareholders details about the Annual General Meeting.